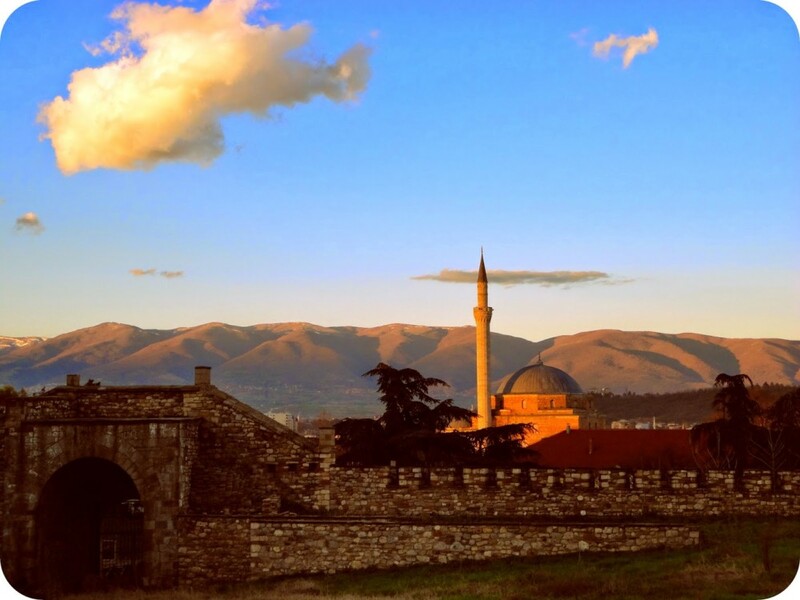 Described by Lonely Planet as ” entertaining and eclectic”, the Macedonian capital of Skopje is a city that is small in size yet spectacular in spirit. 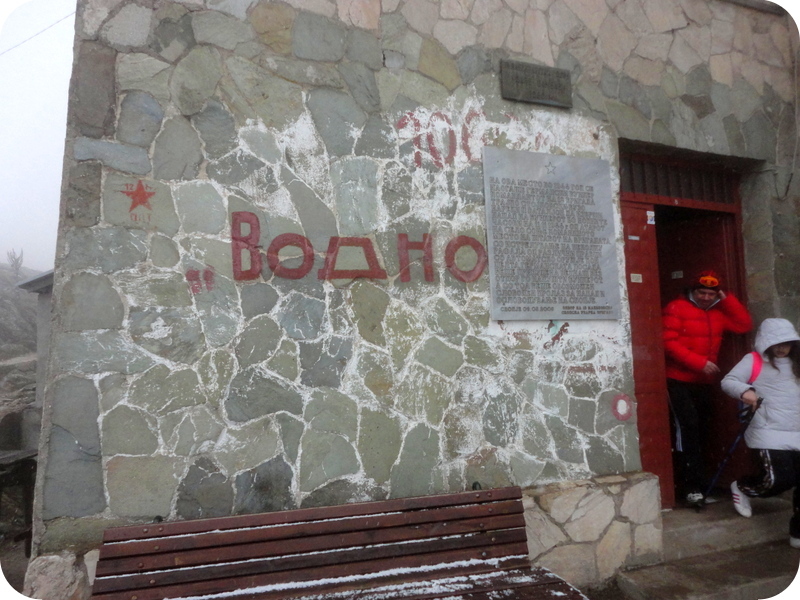 It is located in a part of Europe that is historically and politically extremely complex. 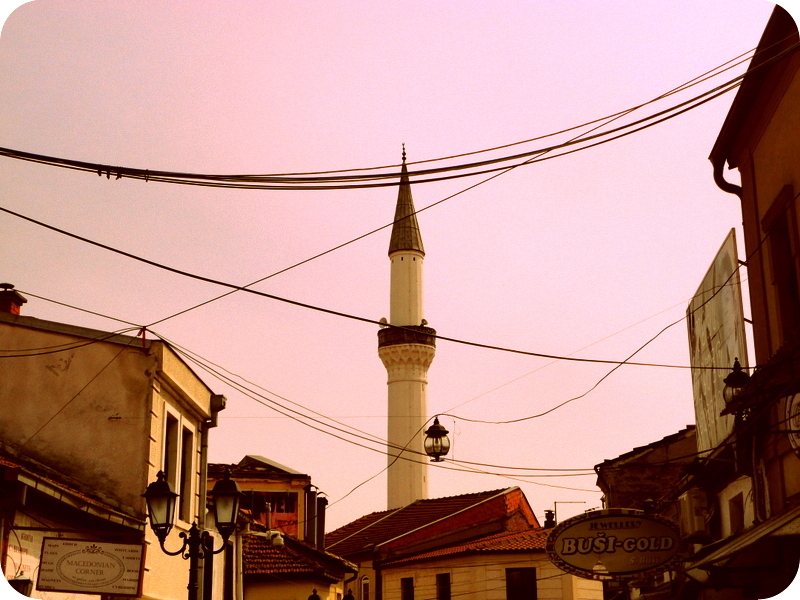 Standing at the crossroads in the heart of the Balkans, it is a place where religions meet and where history is acutely present in every corner. The people are extremely friendly and the city itself is very camera friendly. In something that seems like a bout of megalomania, there are a lot of pompous statues, fountains and sights in Skopje. However, one must remember the historical and political background of the area, as well as the need to create and strengthen the national identity. However, some of the attractions – such as the Tvrdina Kale Fortress, Čaršija (the old Turkish bazaar) and Kameni Most (Stone Bridge) – have been witnessing the twists and turns of history for centuries or even for over a millennium. 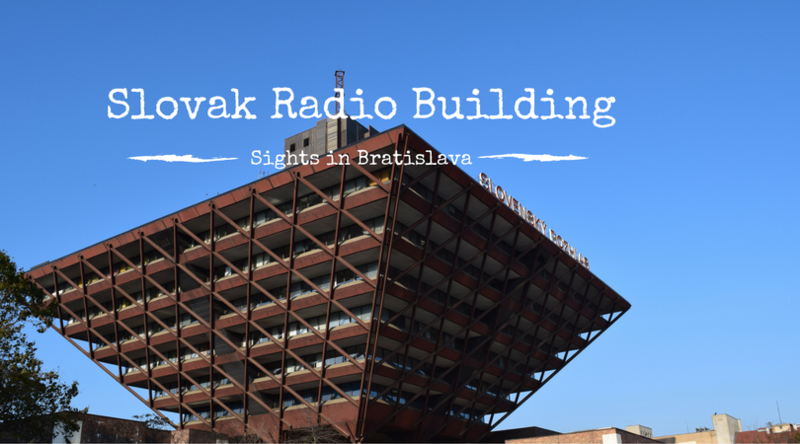 We visited Skopje during Easter 2015 and as part Throwback Thursday. we now look back at our trip. 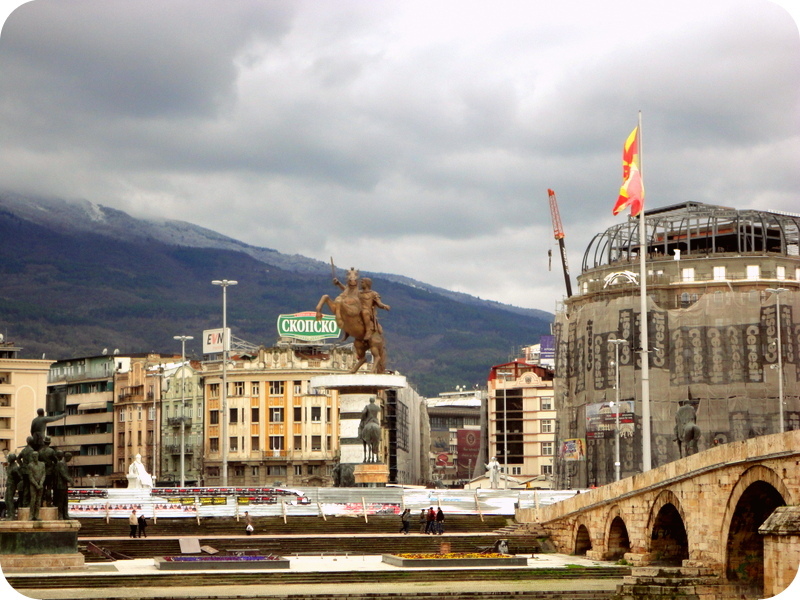 Skopje is the capital of the Republic of Macedonia or the Former Yugoslav Republic of Macedonia, depending on where you stand. 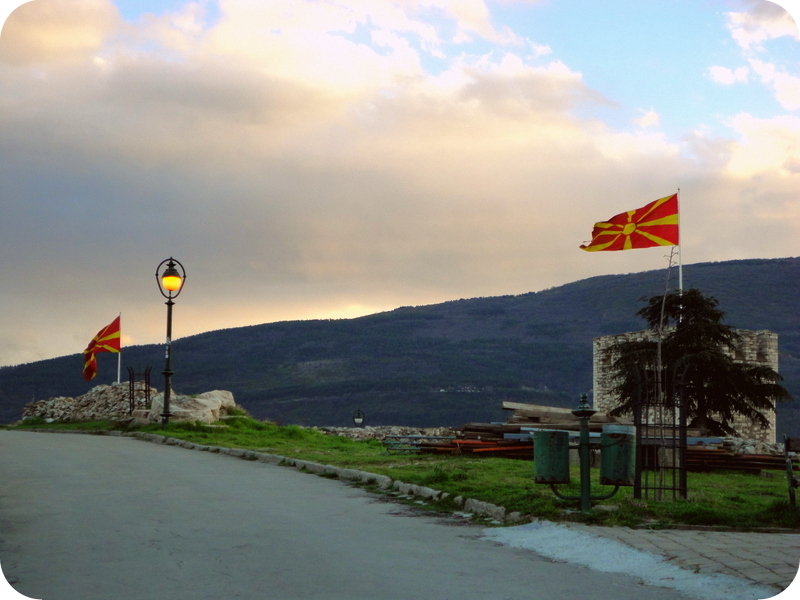 In this article we use Macedonia for the sake of being short and concise. We don’t want to take any political sides here either*. The history of the city goes back at least 6000 years; remains from Neolithic settlements have been found at the Kale Fortress. These remnants are approximately from 4000 BC. The city has been a capital at various times in history. 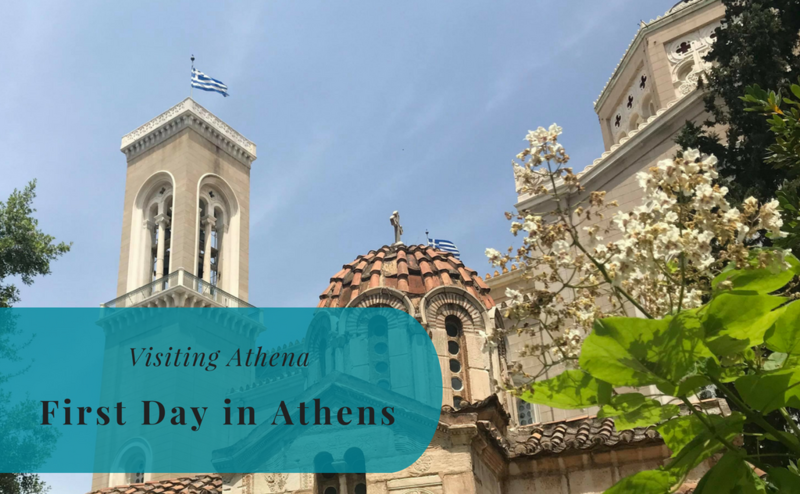 From the Roman times forward it has been part of different empires and kingdoms, including the Byzantine, Bulgarian, Serbian, and Ottoman empires. It was in 1913 that Skopje became part of the Kingdom of Serbia, that was later followed by different constellations between Serbs, Croats and Slovenes (Yugoslavia). Democratic Macedonia (later the Socialist Republic of Macedonia), with Skopje as its capital, was founded in 1944 and it was one of the six constituent countries that made up Yugoslavia. The republic declared independence in 1991. The Republic of Macedonia is its legal successor. The current Republic of Macedonia is a parliamentary republic and it is an ethnically diverse country. There is some political unrest in the country. However, during our visit we did not notice it much. During the first day we visited all the main sights and attractions in central Skopje, including the Čaršija and Tvrdina Kale Fortress. The old Turkish bazaar Čaršija is located on the eastern bank of the Vardar River and it is known that there was a merchant quarter here already in the 12th century. The bazaar is very crowded, with cosy cafés, mosques, little shops and significant cultural landmarks standing next to each other on the narrow streets. The bazaar is situated between the city centre and the fortress. 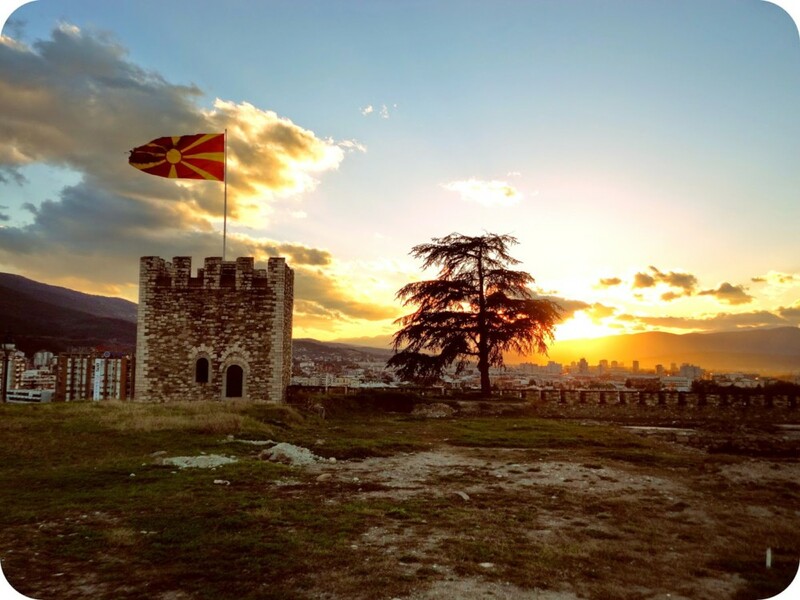 The Tvrdina Kale Fortress has been watching over Skopje since the 5th century. 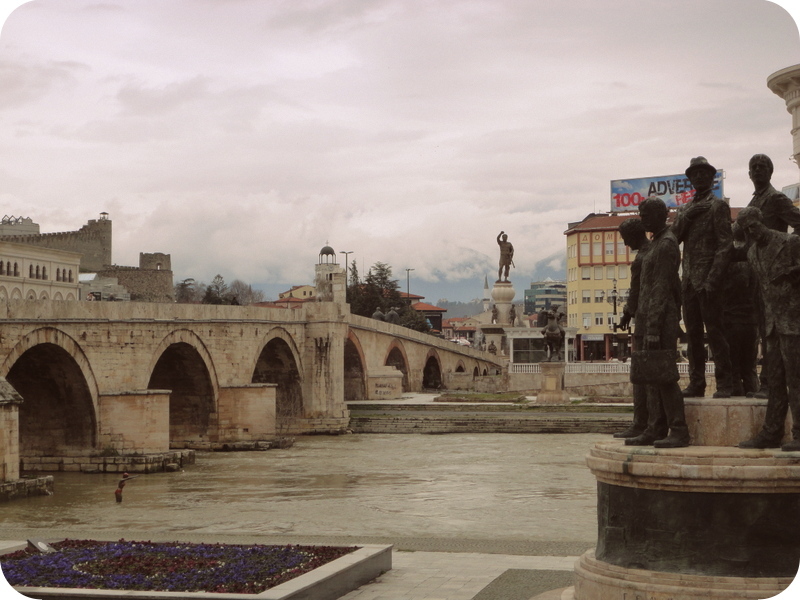 Another of the famous constructions in the Macedonian capital is the old Stone Bridge that connects the Old Bazaar with the Macedonia Square in the city centre. 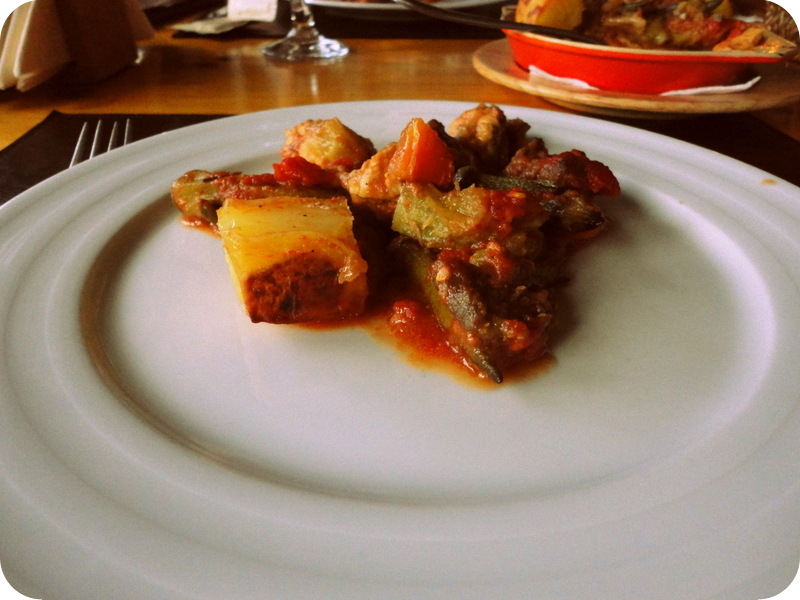 As far as food is concerned, Skopje is an easy city. Finding tasty food was a piece of cake: there was a wide variety of both local and international restaurants. We recommend visitors to try the local cuisine, it’s exquisite. 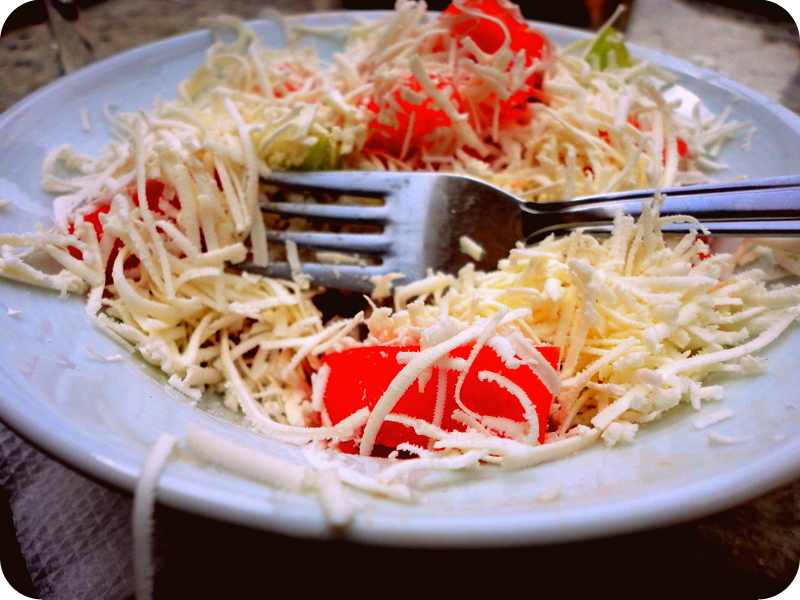 My favourite dishes were Turli tava (a vegetable and meat stew) and Shopska salata (a salad consisting of tomato, pepper, cucumber, onion and cheese). 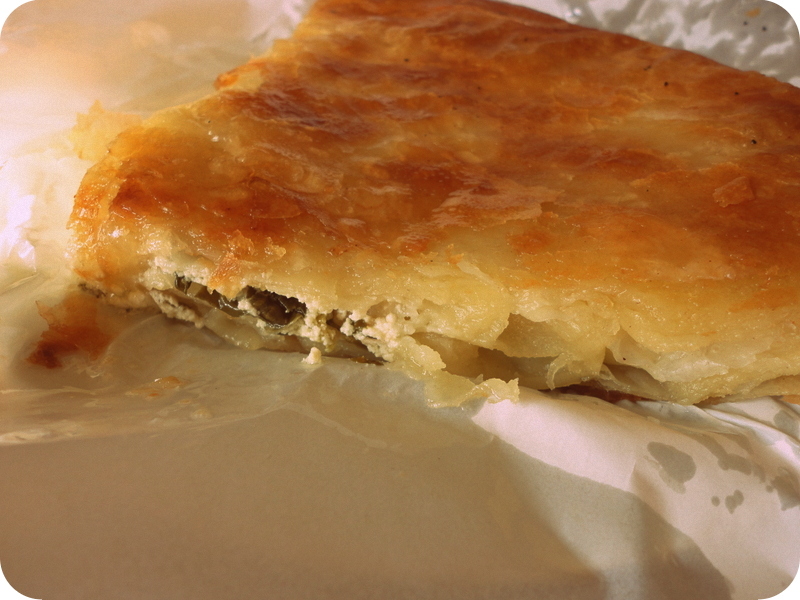 All friends of pastries and bread should try kifli and burek. Delicious! One shall not forget about the wine. Macedonia has three wine-growing regions and most of the wines (about 80%) are red. Our favourite grape (not only in Macedonia but in general) is Vranec (or Vranac), typical to the Balkans (especially Montenegro and Macedonia) and dry in taste. 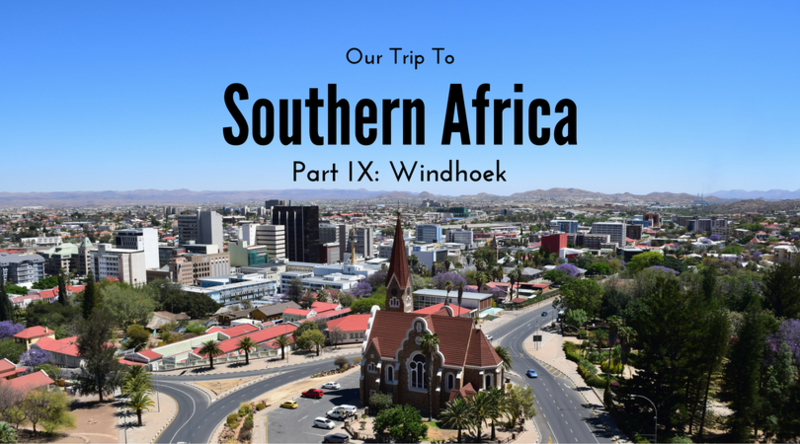 During Day 2 of our trips we ventured to the outskirts of the city. We had booked our accommodation through booking.com and it was actually the owner of the flat who took us on a day trip to the Millennium Cross and the Matka Canyon. The Millennium Cross is 66 metres tall and it is located on the Vodno Mountain. There is a cable car going up the hill. 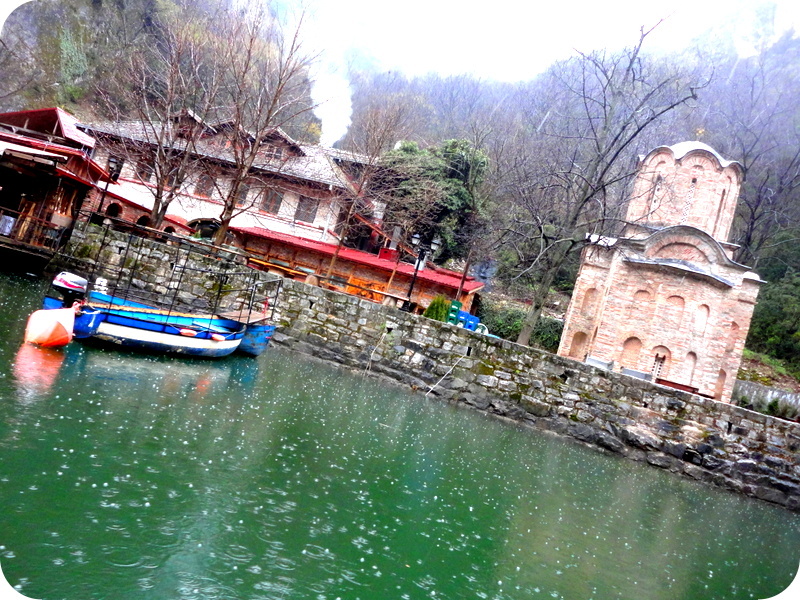 Unfortunately it was snowing (!) during our visit so we didn’t feel like exploring the mountain very much. And it was too foggy to even see the cross. 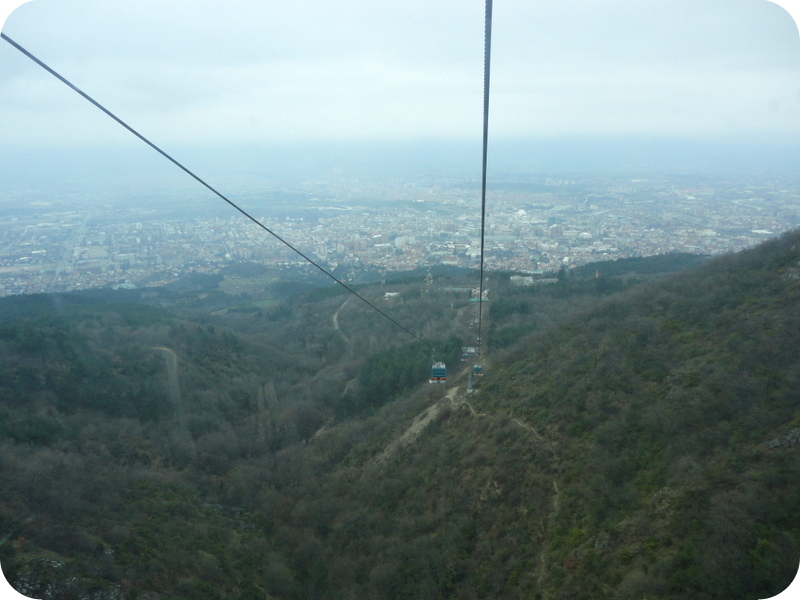 The view from the cable car, however, was fantastic! 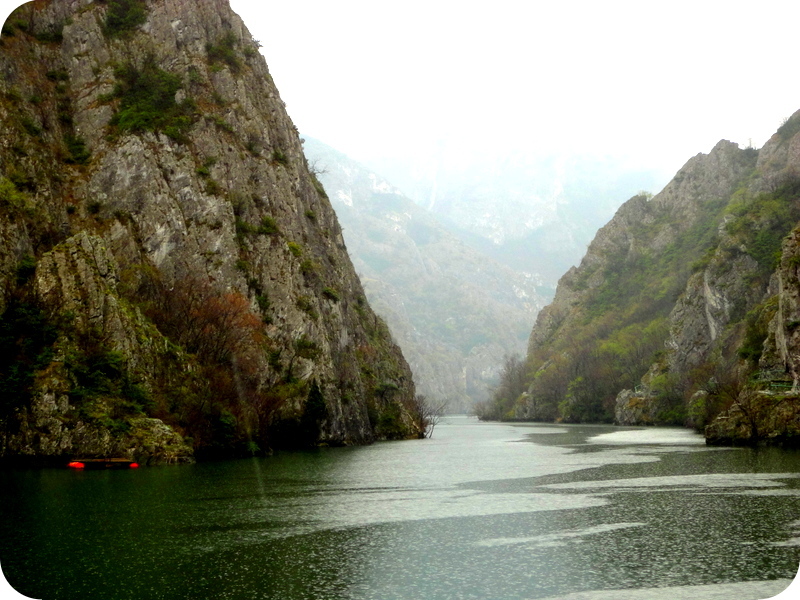 The Matka Canyon is located west of Skopje and it is home to several medieval monasteries. It is also a popular destination for outdoorsy people. During our visit there was a kayak competition taking place. 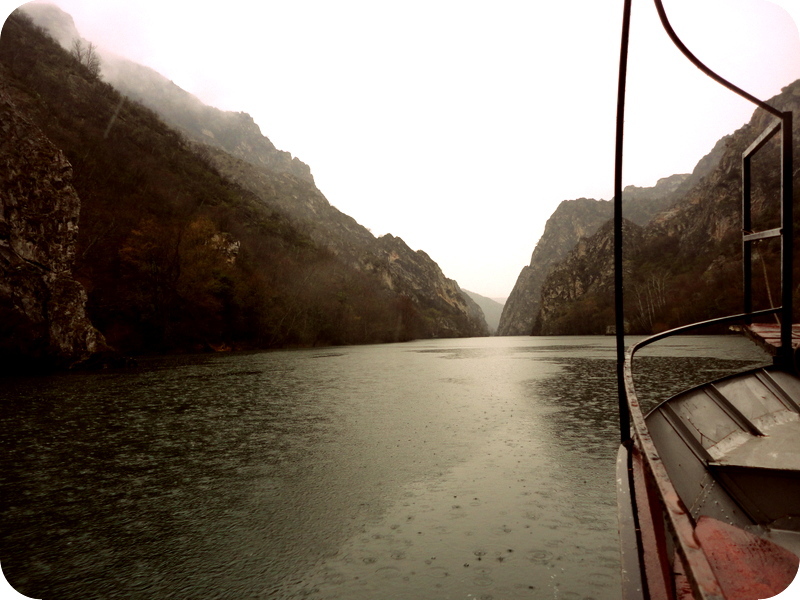 Despite the rain, we decided to go on one of the boat trips on the River Treska and it was really worth it. The scenery was stunning with steep mountains and lush trees. 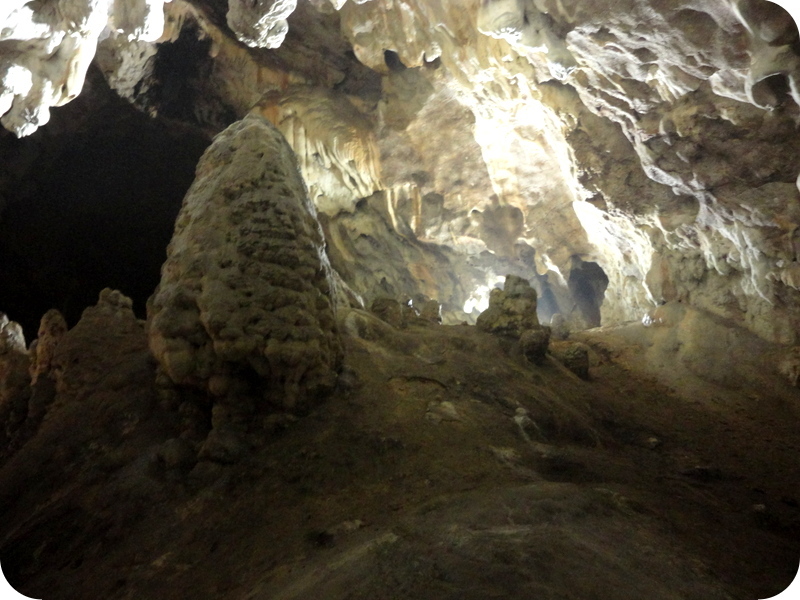 There are ten caves at the canyon and we also had the chance to visit the largest of the caves, Vrelo. 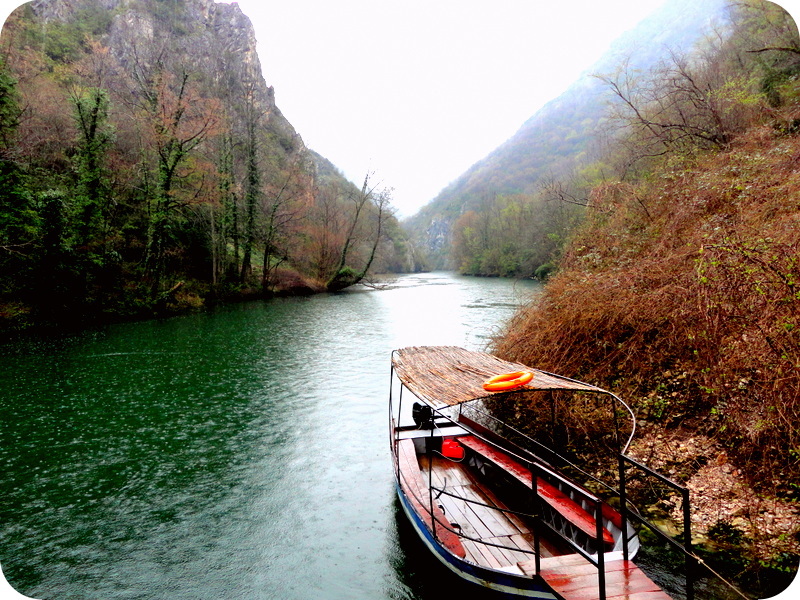 Travelling to Skopje is not very difficult nor expensive. From Sweden one can fly directly with WizzAir. We opted to fly with Air Serbia via Belgrade as it was the most economic option at the time. 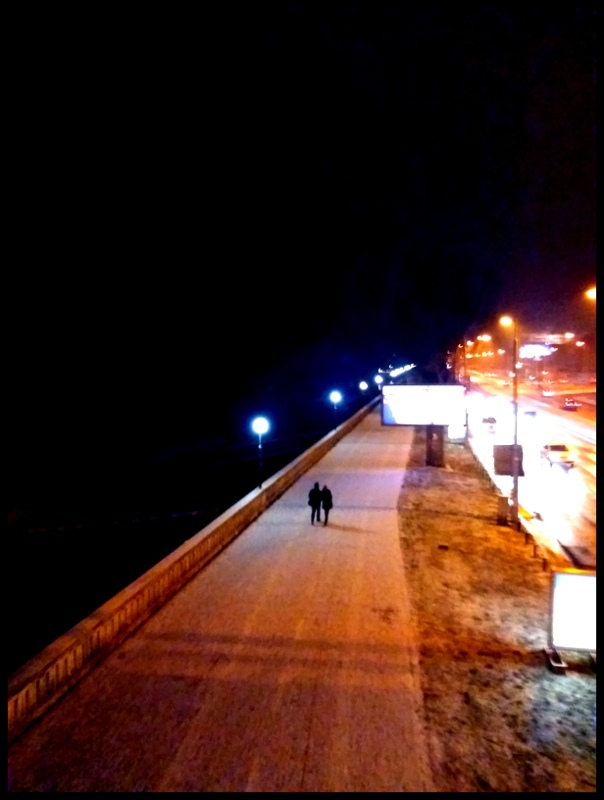 We had one evening + night in Belgrade on our way back. 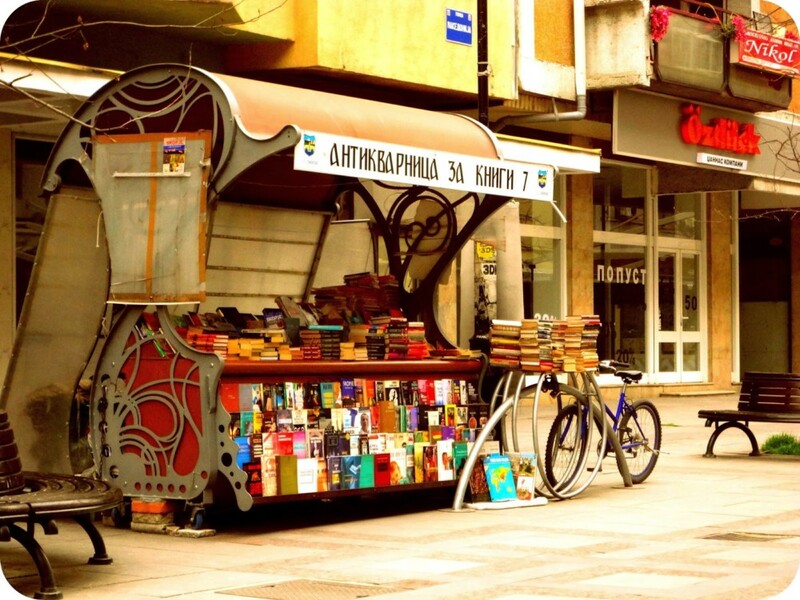 Here is a list of websites that provide useful information about Skopje and Macedonia. Thanks for this post. 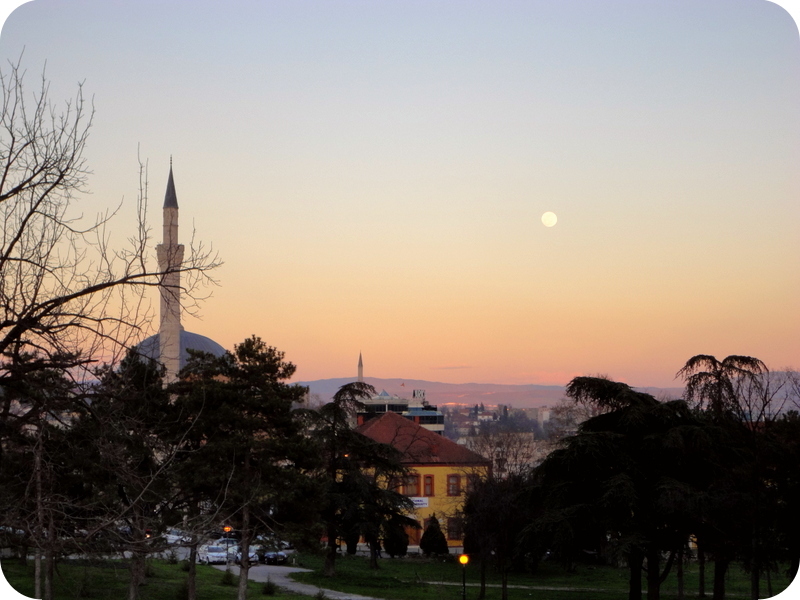 I’ve been quite curious about Skopje and now I really want to go soon! You really should go, it’s a lovely city!